We’ve recently updated our museum in a £3 million Heritage lottery funded refurbishment. We will be opening our new Stable Yard, and Galleries officially to you the general public! Join us for a day of African dancing, crafts and activities, as well as a chance to see our brand new museum totally free! BBC’s Tom Heap will be officially opening the Museum at 11:30. Tom presents the investigations on Countryfile – Britain’s most popular factual TV programme. He is also the principal voice of ‘Costing the Earth’ on Radio 4, the nations only dedicated environment series. He is also a regular Panorama reporter covering food, farming energy and wildlife. He was the presenter of the long running BBC 1 Daytime series Animal 24:7 which remains popular with regular repeats. The Lions of Zululand will be performing throughout the day and conducting workshops! Lions of Zululand are are a cultural group of musicians and dancers whose aim is to expose to the world the wonderful richness of traditional Zulu culture. They perform in schools, theatres, hotels and also at festivals, corporate events and in fact for any celebration. Steve Price (aka Sassy Steve) will be joining us on the day to create silhouette portraits of you to take home. Just like the portraits of our three explorers of the natural world! Steve can create lightning fast likenesses of you in mere minutes! Each person takes from two to four minutes depending on style required and detail. His skills impress the crowds and his manner will raise smiles while he crafts individual artworks which people can take home and treasure. Also launched on the day will be our first temporary exhibition! The exhibition focuses on how one book has continued to inspire artists throughout the ages, looking at different methods of production, their interpretations of the text and the sheer effort that goes in to illustrating and printing an edition. 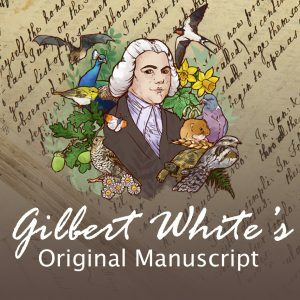 Focusing on the works of John Nash, Ravillious and Grimm, the exhibition will show how illustrations bring the written word of Gilbert White to life! Our new temporary exhibition and learning space springs into life with our Life Lab! Learn more about our garden and exhibitions with afternoon talks and tours, with our staff and expert volunteers. See Tom Heap Officially relaunch the Museum in the Stable Yard. Watch the amazing Lions of Zululand perform on the lawn. Join Collections Manager Joshua Godfrey take you on a tour of the new Frank Oates Gallery. See our amazing new Greenhouse be officially opened and join garden team member Keith Oakley on a tour of the garden. Meet Keith on the lawn! Collections Manager Josh Godfrey will talk about our first temporary exhibition in the Discovery Room. Join garden team member Keith Oakley on a tour of the garden. Meet Keith on the lawn! 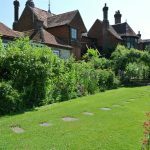 Ronnie Davidson-Houston patron and volunteer will talk you through the many fascinating editions of the Natural History of Selborne which are part of the collection donated by Ronnie on display in the Great Parlour.